You acknowledge you are of sound mind and able to make good and clear decisions about what you believe to be best for your family. You understand that I, Abigail Wald, am not a therapist but rather a parenting educator trained in parenting by connection methods who is doing my best to help your family. You understand and acknowledge that the information I share with you is not intended to supercede or replace any other advice by a professional doctor, therapist, lawyer, or teacher. You consider yourself strong enough and capable enough to assume any and all responsibility for how you carry out any of my suggestions and you understand my examples to be suggestions ONLY; it is up to you to know what is appropriate and right in your own family and your own circumstances. You agree to hold Abigail Wald harmless, and you agree that any decisions you make, and the consequences thereof, are your own. Under no circumstances can or will you hold Abigail Wald or Real Time Parenting liable for any actions that you take, nor for any loss or cost incurred by you, or any person related or associated with you, as a result of discussions, materials, tools, skills, techniques or coaching offered by Abigail. Access to all 30 of the RESET videos for 1 full year. This is the core information I feel is important to share with you so that you can be a good, strong, kind leader for your family, and experience the joy of children who work with you instead of against you. Email support for the class, and a few simple worksheets that will wind up meaning a lot to you. Access to the Class Comments section, where you can substantially deepen the learning by reading all prior comments. 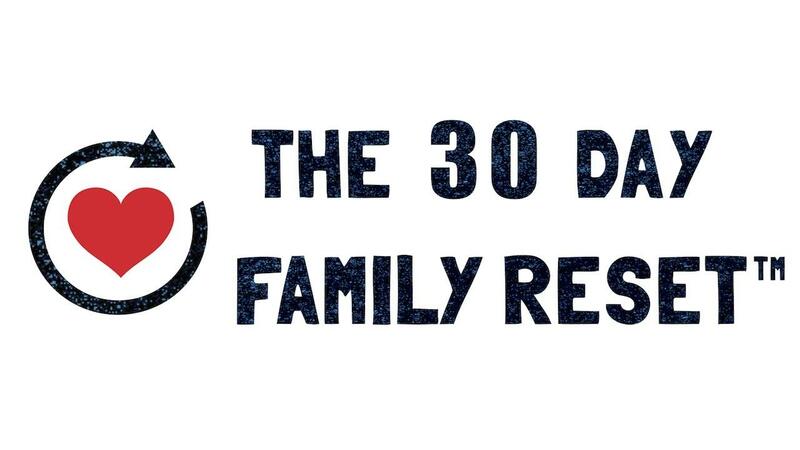 Access to the private FB Group where you can connect with other Reset parents, and leave comments on the lessons for me to respond to (use #RESET). The weekly Live Q&A's, where I will personally answer a few questions each week on The private FB Group. Recordings of these will be archived on the page. Upon completion, you will have the option to join me for an additional live 90 minute group coaching support call for only $1. FULL MONEY BACK GUARANTEE if for any reason you feel the course has not been of value for you.